Great card, Rachel. 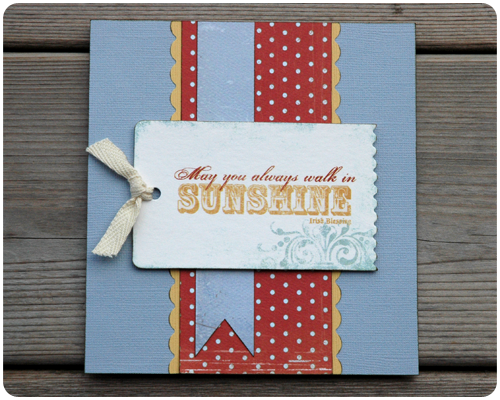 Love how you used the colors in the sentiment for the papers used. Beautiful as always. Thanks Leslie. I was so happy to find coordinating papers in my stash. Oh that is such a beautiful blessing, I love it. Beautiful ... 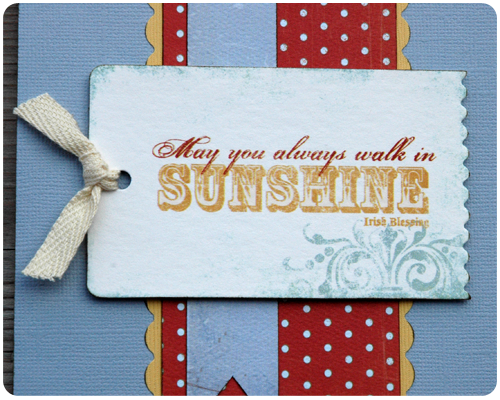 I love the Sunshine card! I'm sure this will brighten anyone's day that receives it!